That’s an interesting perspective. Never-mind your wild spending habits, because the credit card companies are out to get you. It’s not your fault at all. Granted there are people out there who have had some kind of trouble with a job loss or medical problems where their credit soars, but that’s not the majority and people are ultimately responsible for what happens to themselves. You are the gate keeper to your life and your money. It is absolutely misleading for Trudeau to say imply that you are not responsible for your debt and all the other books are wrong. It’s not that I don’t think credit companies haven’t done shady things, but only you can protect your money. 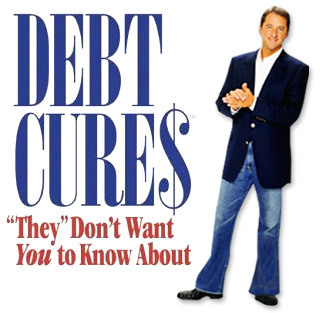 Debt cures should be about learning to manage your assets. Not everybody is in serious debt (mortgages and cars excepted), so they must have learned to control their spending and consciously chose what they want to buy. Trudeau also refers to the movie Maxed Out numerous times. While the movie is rather good, I think he abuses the stories in the film to make his case. I will write more on the book once I have completed it. It’s not a total piece of trash, but I certainly wouldn’t recommend it.